Handlaced bead trim coat. 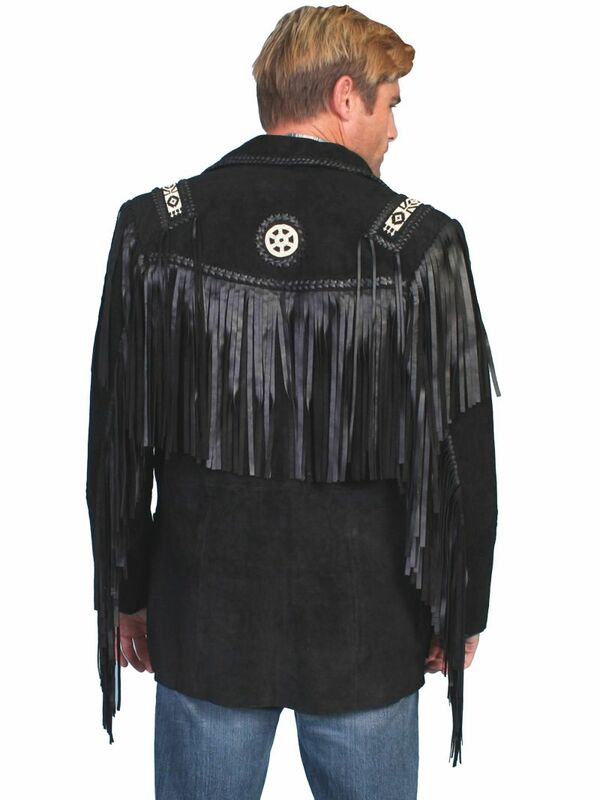 Leather coat with leather fringe trim on front and back yokes. 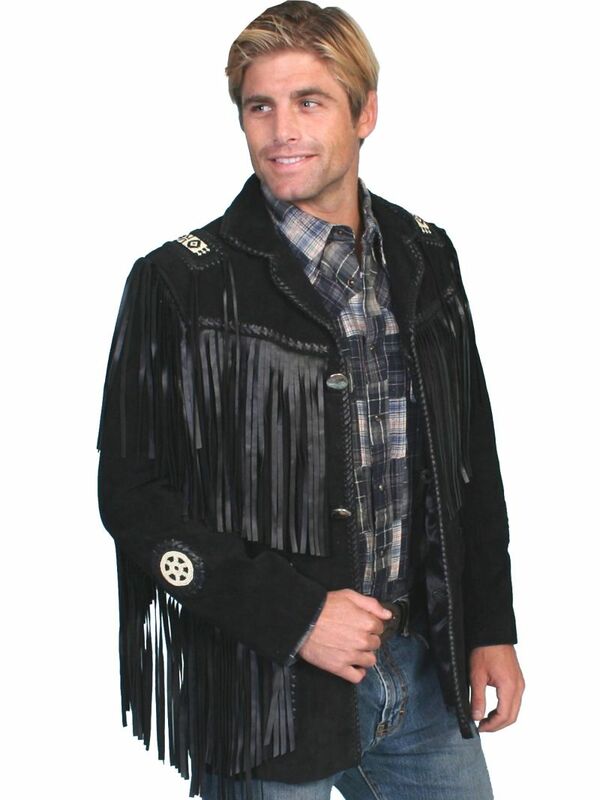 Leather fringe trim on shoulders and front pockets. Handlaced bead trim. 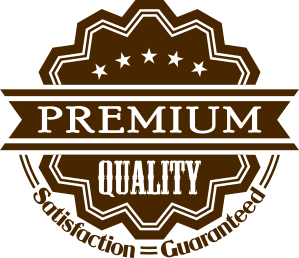 Concho buttons. Whip stitch detail. Nylon lining. Import.